There’s something weird going on over on Google Maps today. 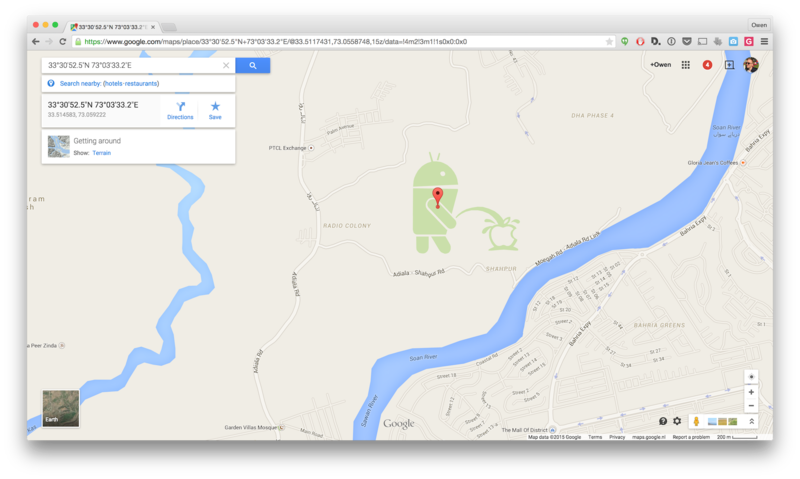 A user on Hacker News spotted what appears to be the Android logo peeing on Apple in satellite view. 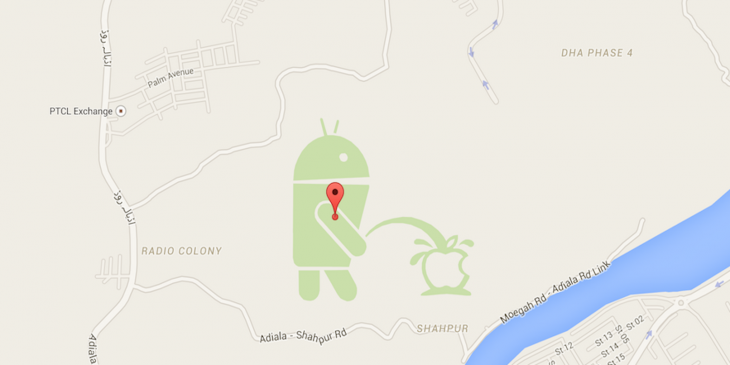 At these co-ordinates in Pakistan the odd image appears, depicting the famous picture of an Android logo relieving itself on Apple’s logo. It could be Google’s idea of an Easter egg, but it’s most likely to have been sneakily added in by a user, like Edward Snowden’s den that appeared in the White House a few weeks back. The image doesn’t appear on the satellite view of the area, so it’s a change that was only made to the map view of the region. The image also appears on mobile devices right now. We’ve asked Google for comment on the oddity, but haven’t heard back yet. Update: A Twitter user has pointed out that it appears the change was added via Google’s Map Maker tool and somehow slipped past the approval process. The company also said that “we also learn from these issues, and we’re constantly improving how we detect, prevent and handle bad listings.